Eskimo Candy – Overworked. Underfed. The Annoyer is pretty easy going about things. He doesn’t have a strong opinion about many things, but when it comes to Eskimo Candy, he won’t consider any other place for poke. You can try to reason that the poke at Eskimo Candy is too sweet, too saucy, too anything but he’ll argue and disprove your opinion. In actuality, it’s my opinion so there is no right or wrong, but he won’t have anyone speaking badly about his precious Eskimo Candy. 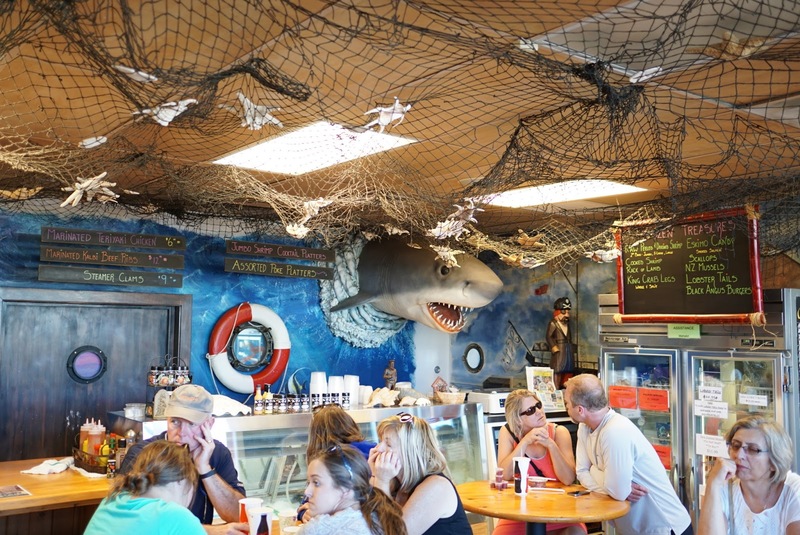 The restaurant itself is so kitschy in a seafood restaurant kinda way. 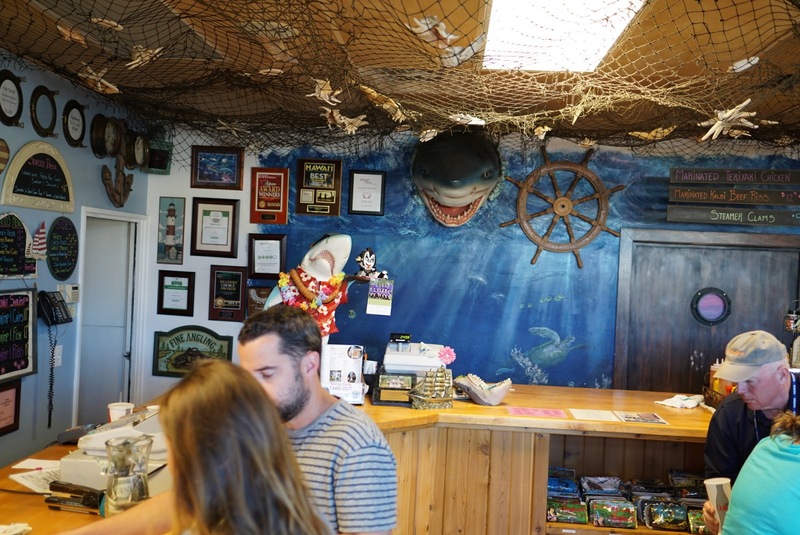 Pirates, nets, fish, sharks, and mermaids are plastered wherever there is space. The menu is pretty large and you wouldn’t think poke is even the focus of this joint, but The Annoyer would eat this for lunch everyday if he could. I will admit that the poke bowl here is a great deal. You get 4 types, over a bowl of rice, and a side of seaweed salad for $12. I was a bit disappointed there wasn’t some crab salad too, which I’ve gotten used to with the poke bowls I’ve had back home. There’s also a little bit of wasabi aioli over the rice which I didn’t really notice. It was easily overwhelmed by the over marinated poke itself. The savoriness of soy sauce and the sweet zing of either sugar or honey are really in your face. It is partly in a good way. The poke is really flavorful. The shoyu one seemed like the base flavor of the furikake and wasabi ones so I preferred the kicked up flavor of the latter two as my favorites. The spicy one was a touch too mayo-y for my liking. So on the flip side, the in your face flavors make for some tasty bites, but all that sauciness gets to be overwhelming after a while and you really lose the natural flavor of the fish. The Annoyer wholeheartedly disagrees. We actually had some of the cooked items like the captains platter and seafood chowder. The captains platter is solid, but the chowder was too creamy without enough flavor to balance it out. 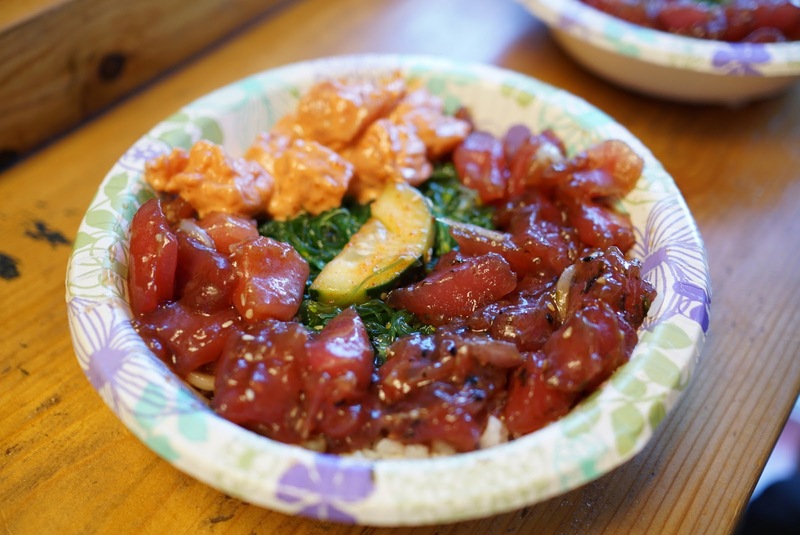 Don’t get my wrong, the poke bowls at Eskimo Candy are pretty good, I just don’t agree with The Annoyer that it is THE BEST poke bowl on this planet. I certainly couldn’t eat this everyday, but then again I can’t eat anything everyday. I will admit that I’ve never had any poke like the kind at Eskimo Candy so you can look forward to something unique here. The cooked stuff is good, but nothing too special.